Prosecutors said on Friday that among the items found at Mr. Lubitz’s home were several doctors’ notes stating that he was too ill to work, including on the day of the crash; one of the notes had been torn up. These documents “support the preliminary assessment that the deceased hid his illness from his employer and colleagues,” the prosecutors said in a statement. So we know more about this pilot. We know that the plane was intentionally downed. We know that the pilot had some history of illness and some degree of psychiatric diagnosis. That does not explain why. Actually, it is insensitive and shortsighted. This perspective absolutely stigmatizes the mentally ill and lumps everyone with any degree of mental illness into the same unfit, untrustworthy category. I’m not saying mental health and fitness should not be criteria for certain high stress, high responsibility occupations, but a designation of mentally ill – without context, without evaluative criteria that provides a nuanced understanding of the individual’s level of functioning and capacity – should not sideline people from being participating members of society in whatever form they aspire to. This bothers me, a lot, as a person who was diagnosed with depression and anxiety as a young teen and who happens to be very high functioning, if you want to put it that way. I consider my depression to be quite latent at the moment and for the last several years (I have used the term “in remission,” to borrow from the language around cancer, to describe it) and yet, on paper, in my medical history, in my pharmacy file, and in the records at the MUN Counselling Centre, you could clearly find documents to depict me as “depressed” even if I have had very few and infrequent symptoms for the last five years. Clearly “depressed” is not enough to account for the extreme variety of experience that those carrying the burden of the label may have. As a person with anxiety who, interestingly, thrives in fast paced, high stress, multitasking environments and looks for, even requires, a lot of stimulation and many activities, I worry about the assumptions around anxiety as presumably debilitating to certain roles or jobs. It can be, but it is not necessarily. On a local level, The Telegram carried a story last month about a 17-year-old who was rejected from the Canadian Forces due to his anxiety diagnosis. I haven’t been in the Forces, but I was in the Canadian Cadet movement for nine years, and not only did I thrive in the environment(s) I experienced because of Sea Cadets, I credit the movement with not only helping me with my depression and anxiety, but also turning around the early stages of a very destructive eating disorder when I was 15. I’m not saying Cadets and the actual Forces are the same, but it’s heartbreaking to me that someone could be flat out rejected simply for ticking a box that says “anxiety” without further, and much more personal and nuanced, evaluation. This is where consulting with people with the actual lived experience of mental illness could be helpful. 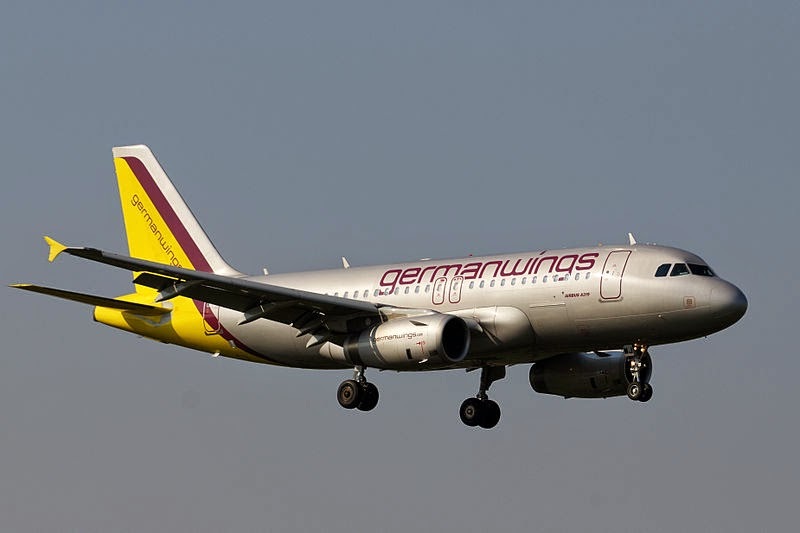 And while it is clear, now, that Lubitz shouldn’t have been a co-pilot on this plane on this day, let alone left alone in the cockpit, it’s not because he had depression and may have wanted to die. It’s because he had the will and ability to kill 149 people and himself. How do airlines and other employers screen for homicidal tendencies? There are, clearly, limits to reliably ever testing for certain future actions. As my friend posted online in a comment response to a brief status I wrote on this topic, while it’s important that people in certain jobs have clean bills of mental health, fear of job loss – not to mention stigma – isn’t going to encourage people to seek the help and treatment they need. Instead, they may refuse treatment, hide their illness, and a tragedy could occur. What bothers me most about blanket statements suggesting depressed people can’t be pilots is the easy and flawed public linking of mental illness and morality. Most depressed people, even severely depressed people, would never kill others, let alone 149 others, as part of their plan to kill themselves. It’s irresponsible and shortsighted to form an opinion on the general capacities, trustworthiness, and morality of depressed or mentally ill people based on this atrocity. We need to encourage treatment, not propagate stigma. This tragedy needs to be framed as a mass murder, that is, unthinkable and horrific – as all mass murders are – not indicative of the “threat” of the mentally ill walking and hiding among us. We already have enough stigma, thanks.